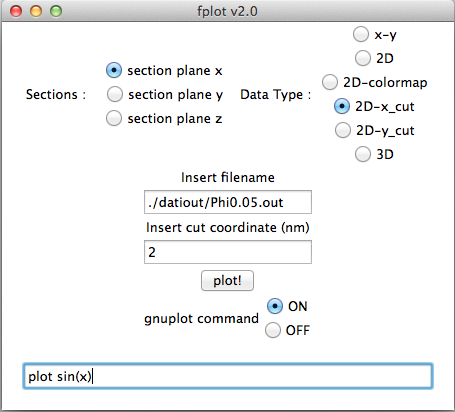 fplot is a GUI to post-process data generated by the NanoTCAD ViDES simulator. 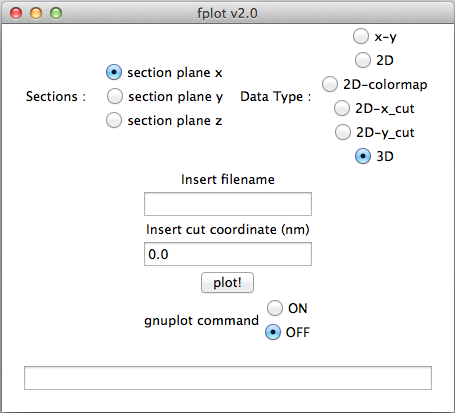 fplot can be downloaded here. Copy .fplot in your home directory. .fplot contains the name of the grid files. By default, grid coordinates along the x, y and z directions, are stored in gridx.out, gridy.out and gridz.out, respectively. If you want to use different files, please modify the .fplot file accordingly. 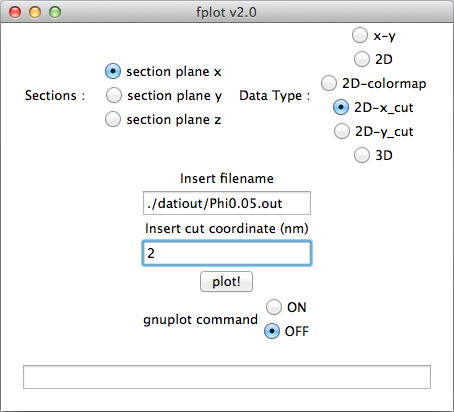 The grid files must be placed in the same directory the fplot command will be launched. Let’s suppose you have performed 3D simulations (e.g., GNR, CNT etc.) 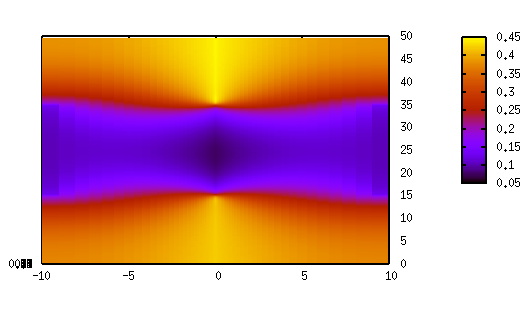 and you want to plot a cut in the y-z plane of the electrostatic potential, saved in the file “Phi.out”. Select the radio button, “section plane x”, and in the “Insert cut coordinate” field, specify the coordinate at which the cut-plane is placed. 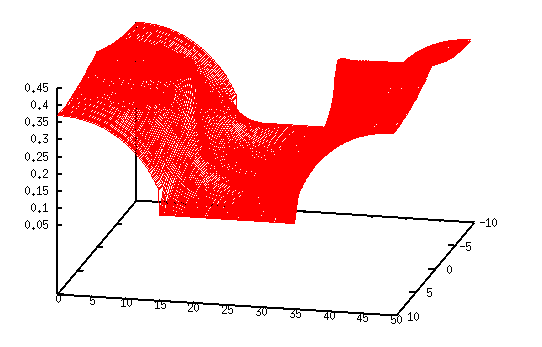 Then push the button “plot!” and a window like the following, showing a 2D plot of the potential, will appear. You can perform the cut along the x-z and x-y plane, selecting the “section plane y” and “section plane z” radio button, respectively. 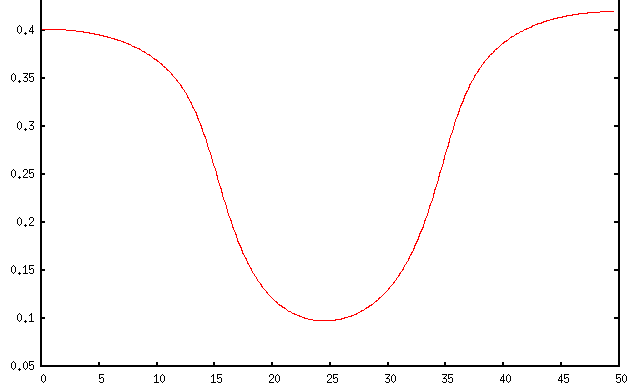 You can also plot 2D quantities, as for example when post-processing 2D domains as in graphene FET and other 2D Materials. In this case, you have to select the “2D” radio button, which plots 2D curves as in the previous case, or “2D colormap” radio button, which plots the colormap. As in the previous case, the file containing the quantity to be plotted, has to be specified in the “Insert filename” field. For example, if the potential in the 2D domain has been saved in the “Phi.out” file, then type in the filename field: Phi.out. You can also extract 1D cut along the x and y direction, selecting the “2D-x_cut” and “2D-y_cut” radio button, respectively. The coordinate at which the cut is performed has to be specified in the “Insert cut coordinate” field. One dimensional plot can be also generated, selecting the “x-y” radio button. In this case, fplot assumes that the file is an ASCII file containing 2 columns. 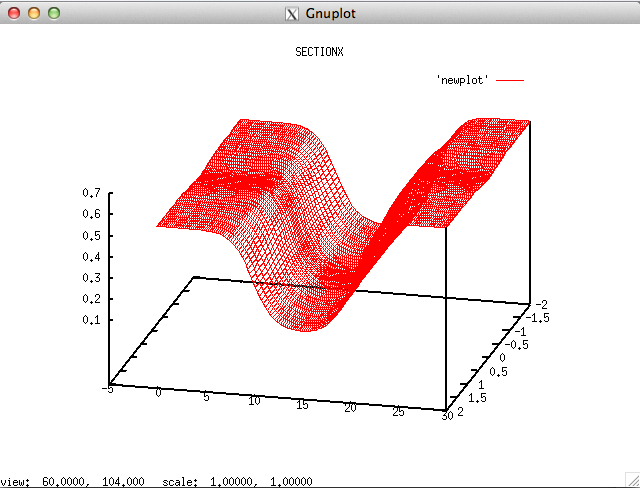 In the shown example, fplot will display a sin(x) as specified in the gnuplot command field, overriding the other selections.